Hyne has had an unfortunate run with injury and has spent the past 12 months recovering from surgery. 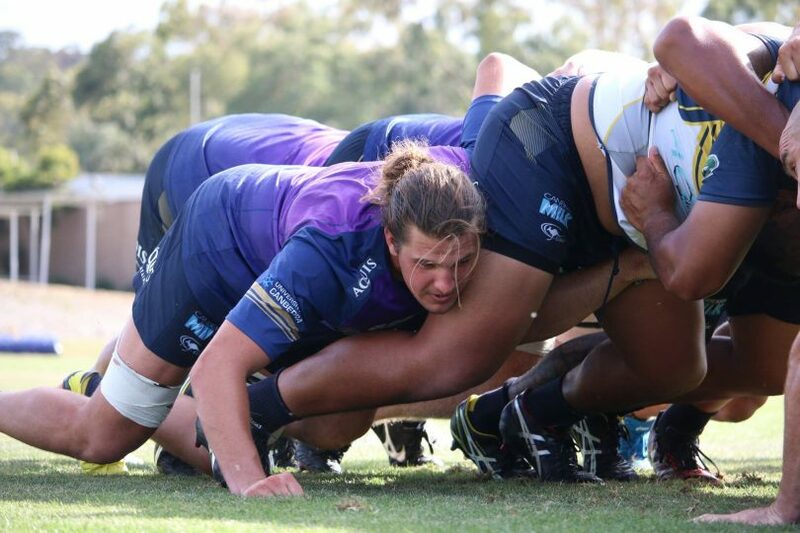 Photos: Supplied by Brumbies Rugby. 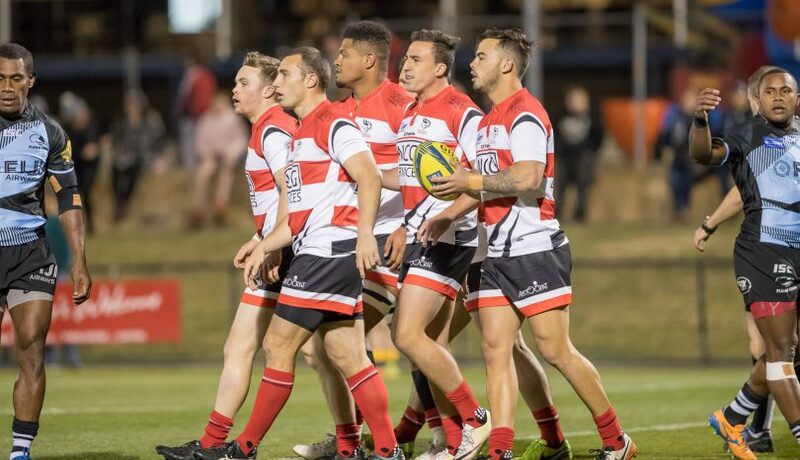 He has spent the majority of 2018 recovering from a knee injury suffered during last year’s National Rugby Championships (NRC) but lock Ben Hyne is set to lead the Canberra Vikings experienced squad in the 2018 NRC. He was man-of-the-match in three of the first four Vikings games last season before injury struck and forced him to spend the past 12 months recovering from surgery but head coach Nick Scrivener has given him the responsibility to skipper the 33-man squad this season. Hyne played the last three games of the Tuggeranong Vikings John I Dent Cup campaign and will head into the opening NRC clash against last years champions on 1 September with only 190 minutes of match fitness under his belt. But the 24-year-old said he feels prepared to lead the side and has put the injury behind him. “Injuries are a thing in rugby aren’t they and you can’t hold on to them and you move on from them as quickly as you can,” Hyne said this morning. “With my knee, there was 11-month rehab block put in place for it and once that was up I was good to go. It wasn’t a thought in my mind in the three games that I have played so far. Scrivener believes the young lock is ready for the responsibility of the captain’s armband and said Hyne is champing at the bit to get regular game-time under his belt ahead of the 2019 Super Rugby season. Scrivener has selected an experienced squad to tackle the seven-round competition as the Vikings look to go one better than the 2017 season, which saw them lose out at the final hurdle beaten by Queensland Country. Wallabies squad members Rory Arnold and Tom Banks are both in the squad for the fifth iteration of the NRC. File Photo. Former Waratahs centre Irae Simone is one of 19 contracted Brumbies players named in the squad for the competition with Wallabies squad members Rory Arnold and Tom Banks both in the squad for the fifth edition of the NRC. The team also has a strong representation from the local John I Dent Cup with Canberra Royals scrumhalf Argentinean-born Pedro Rolando, who was the leading scorer in the this season’s competition. Scrivener is confident the young emerging talent within the team provides him with a well-balanced, hungry and enthusiastic group. “I believe it is an excellent blend of youth and experience and has the potential to play a fast-paced, running game as well as being physical at the set-piece and difficult to contain,” he said. 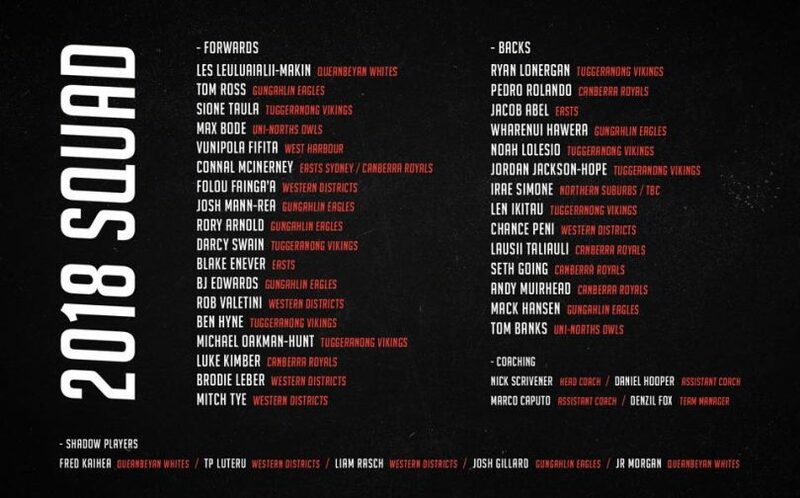 “It’s great to see so many young players included who will no doubt use the NRC as a stepping stone in their careers. “I am expecting this season to be a tough test for the players, there are no easy matches in this competition and the schedule is such that any slip-up could be detrimental to playing finals football. Brumbies co-captain Sam Carter and flankers Lachlan McCaffrey and last year’s captain Tom Cusack will not take part in the NRC this season after a long and tiring Super Rugby campaign, being ruled out by Brumbies to recondition after a rigorous season. The Vikings begin their 2018 NRC campaign with the grand final rematch against Queensland Country at Viking Park on Saturday 1 September with kick-off at 5 pm.